Recently, NetEnt reported that the company paid out on another big win on their classic jackpot slot Mega Fortune Dreams. This time, it was a 65-year-old woman who managed to take home a total of 4.5 million Euro, which is approximately 4.8 million dollars. The winnings were paid out at Betsson Online Casino. This is the second massive jackpot that was paid out in March. Another massive winning of 3.7 million Euro was won just two days earlier. We are proud to report on the winnings of our game Mega Fortune Dreams. The players know that this slot machine pays out some of the biggest prizes in the gaming industry, which this payout of 4.3 million Euro once again proves. We are extremely happy that the recipient won this life-changing amount of money. Mega Fortune and Mega Fortune Dreams are two of the slots that have had the most massive jackpots over the years. Two examples of this are the winning of 18 million Euro in 2013, with a bet size of only 0.3 Euro, and the 30-year-old Swedish man who took home 8 million Euro in 2014. The Mega Fortune collection is not the only collection of games that have paid out such extremely high prizes. Such big wins are becoming increasingly common now that jackpot slots have become so popular to play. If you are eager to learn more about Jackpot Slots or simply want to test your own luck then you can check out our page here at FreeMySpins. 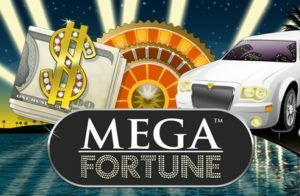 Huge Jackpot won on Mega Fortune Dreams at Betsson Casino! 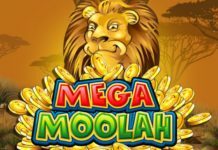 New gigantic jackpot win on Mega Moolah – 13 Million Euro! 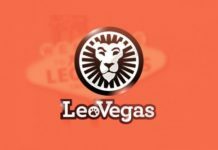 LeoVegas players hits new Jackpot record in Joker Millions!